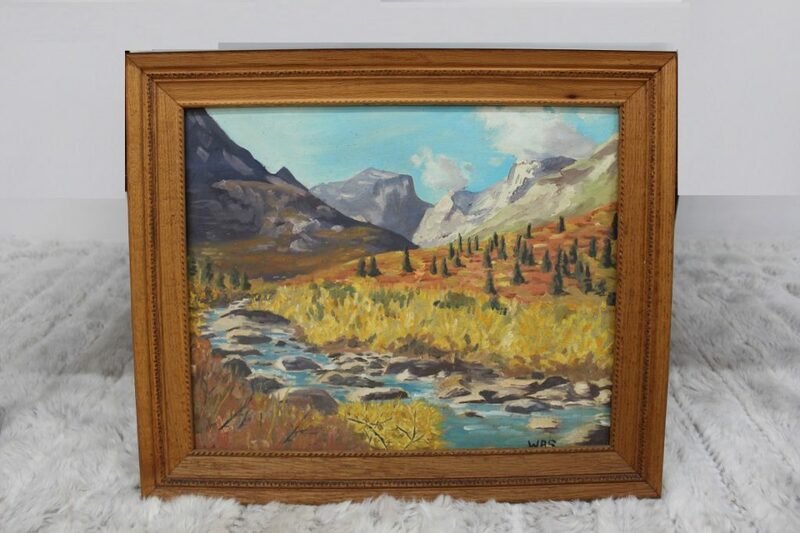 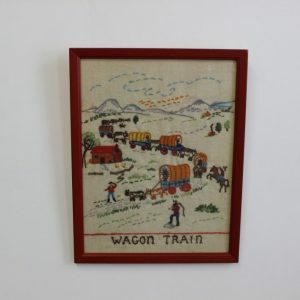 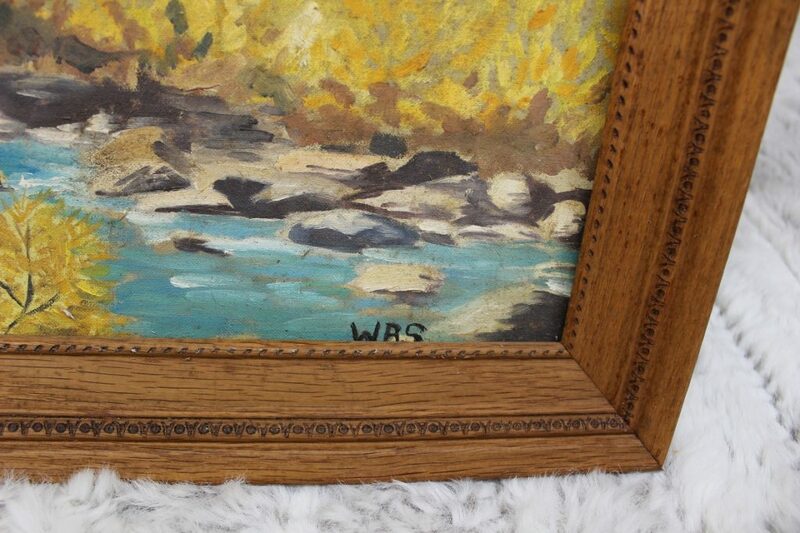 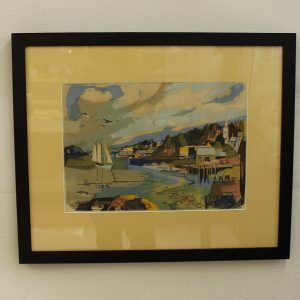 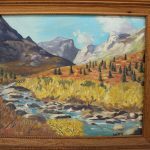 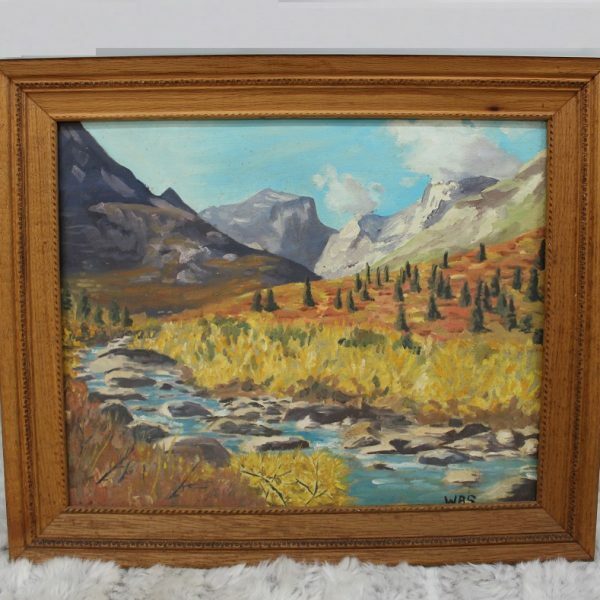 This beautiful medium size landscape painting comes to you with a beautiful vintage wooden frame. 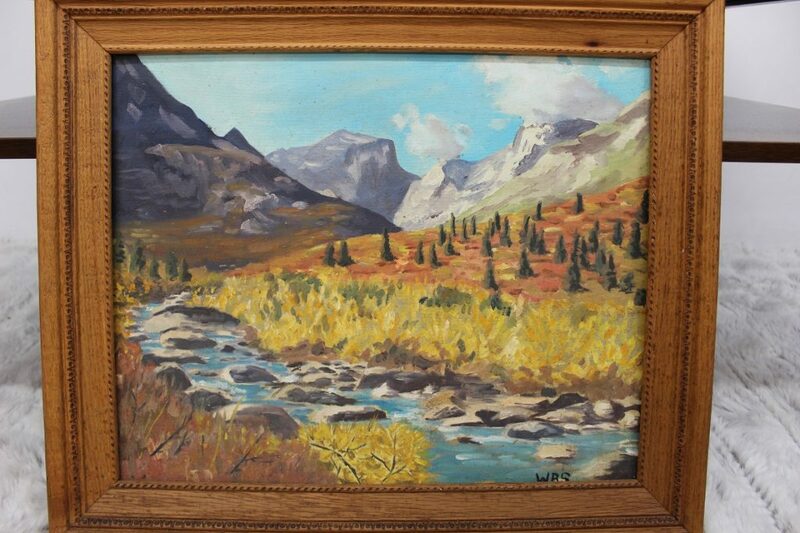 It features a mountain, a river and the hills around them. 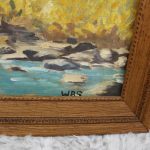 The colors are still very vibrant and the combination of yellows, greys and blues are easy on the eyes and easy to pair up with different decor styles. 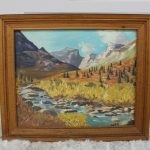 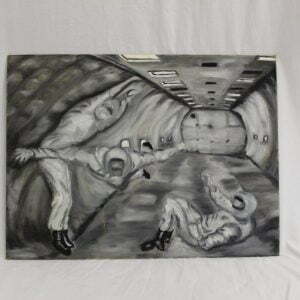 It measures 24″ long by 20″ tall including the frame and 19 1/21″ by 15″ without the frame.